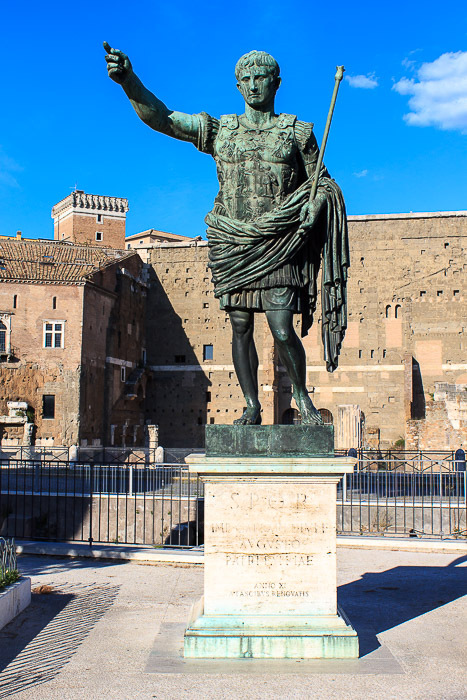 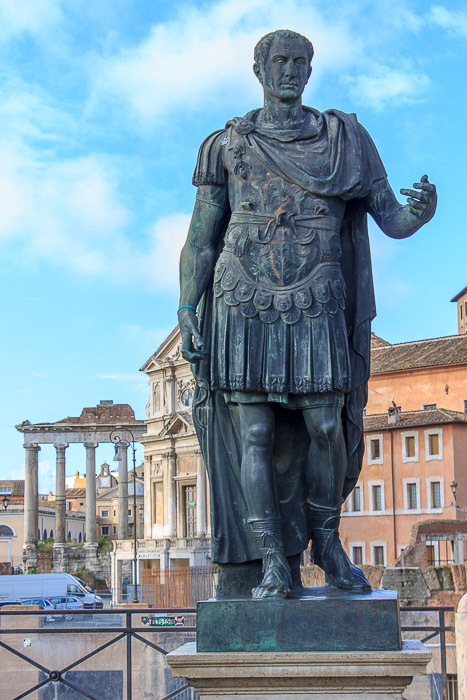 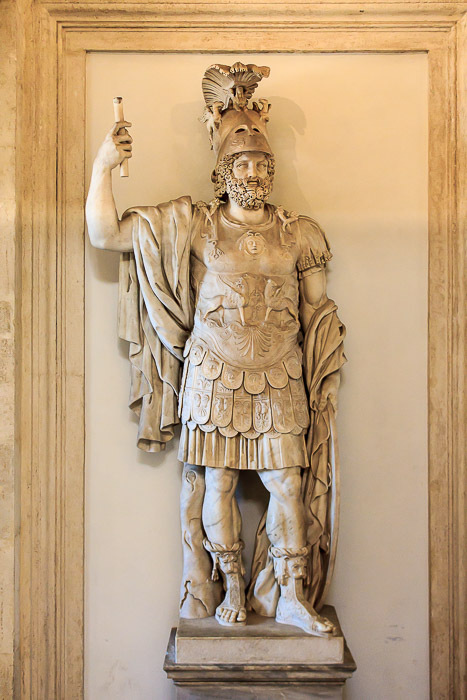 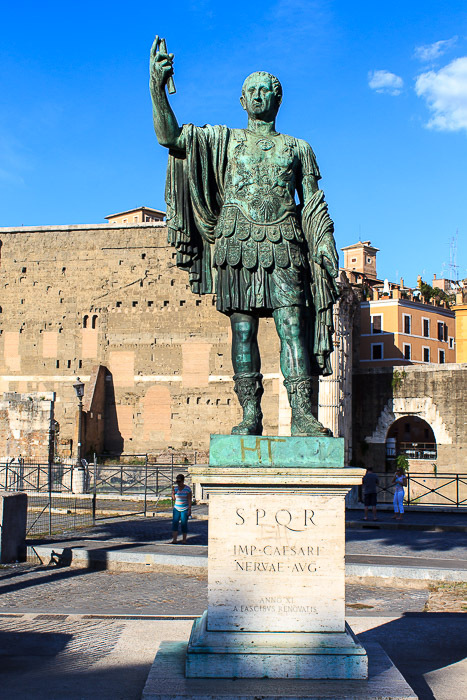 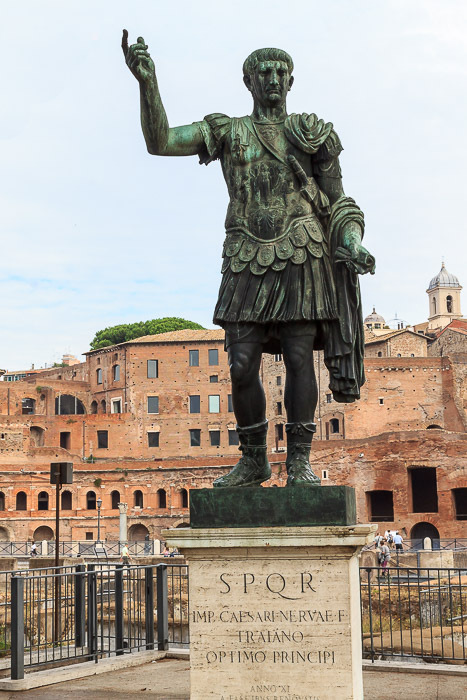 Rome was a superpower during the times of the Roman Republic, long before Julius Caesar came along. 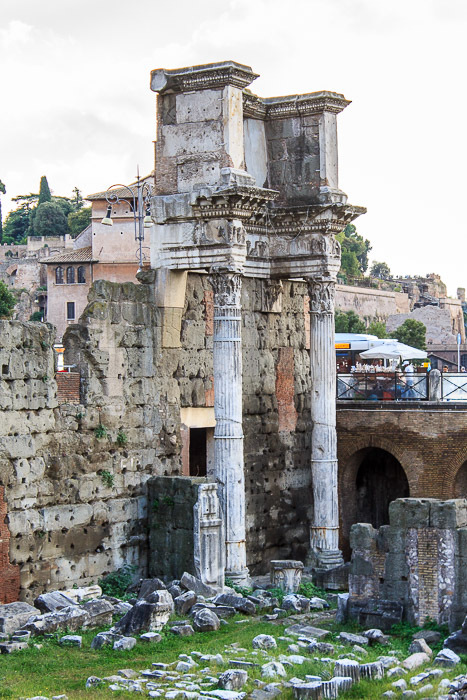 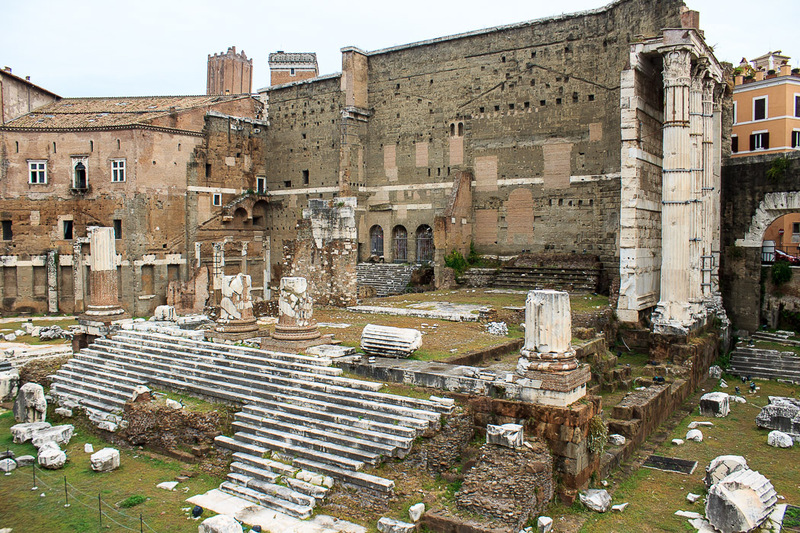 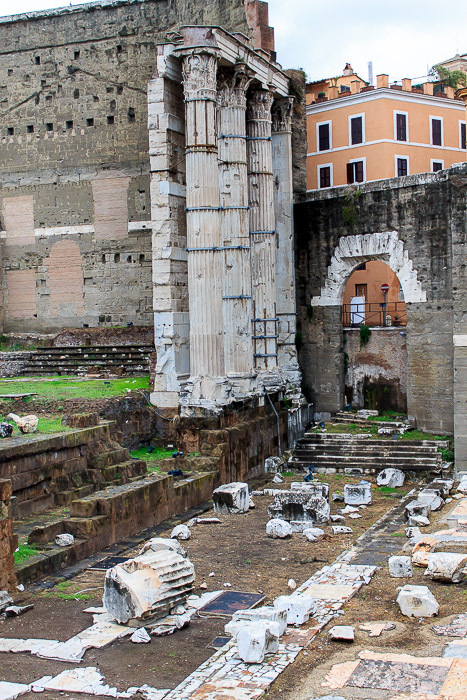 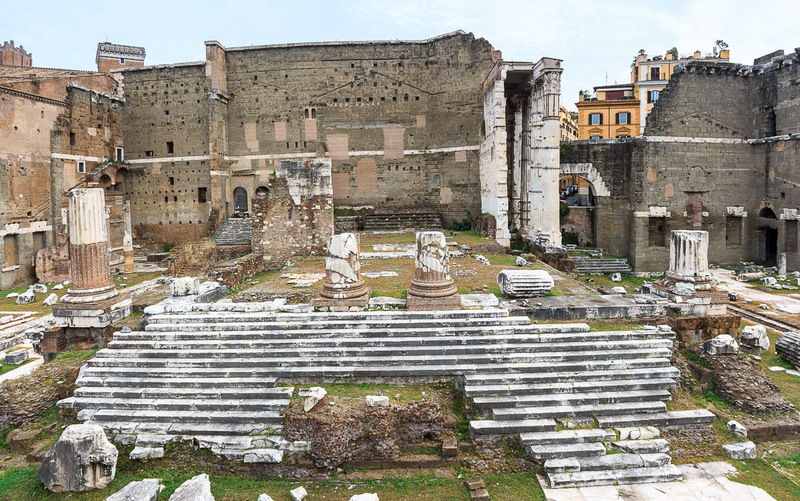 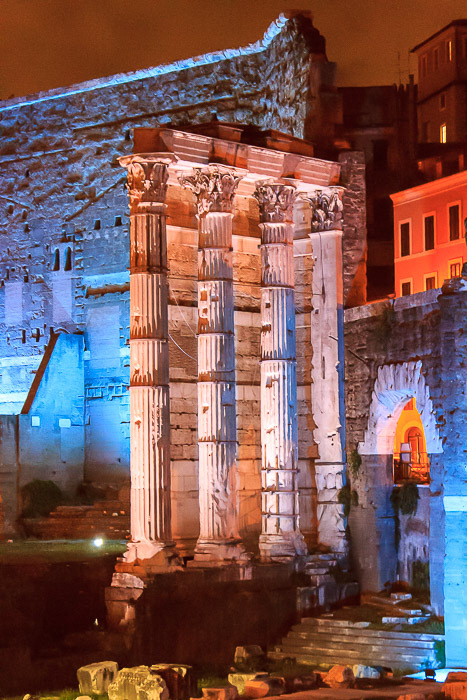 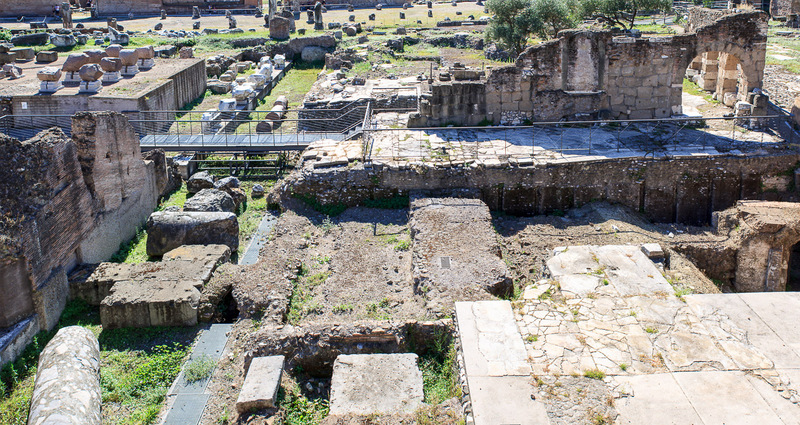 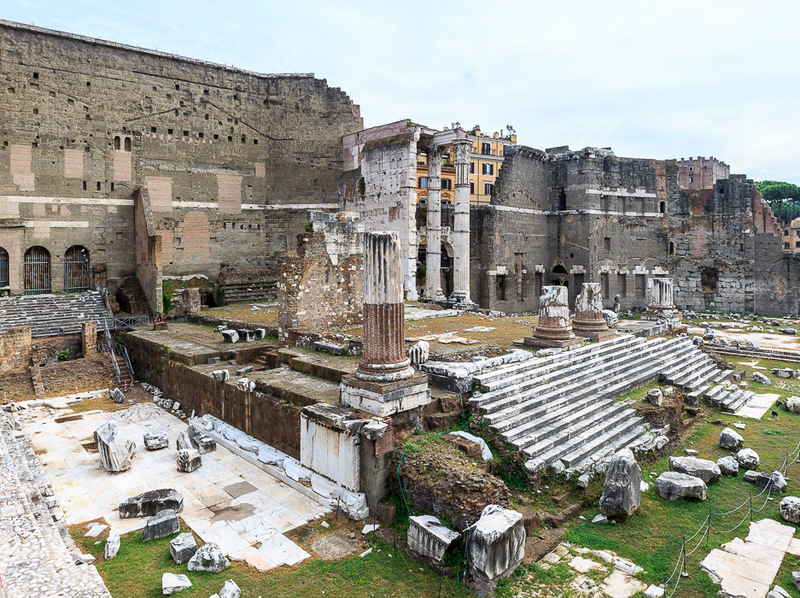 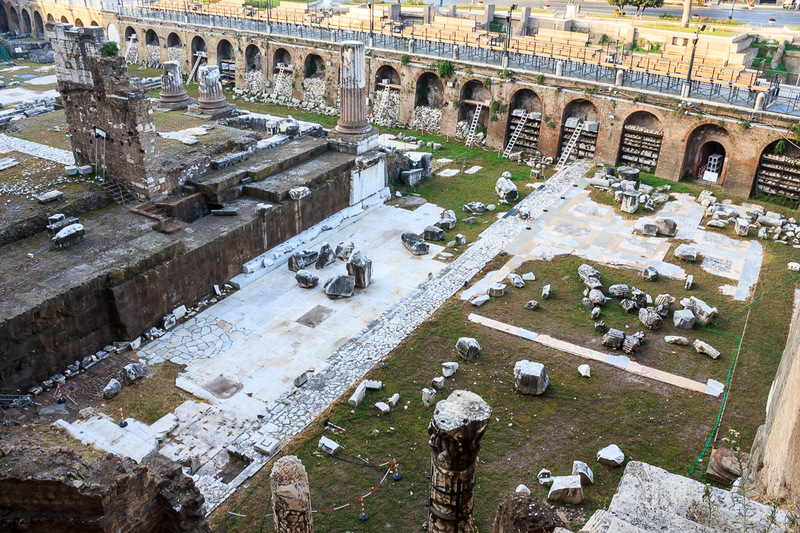 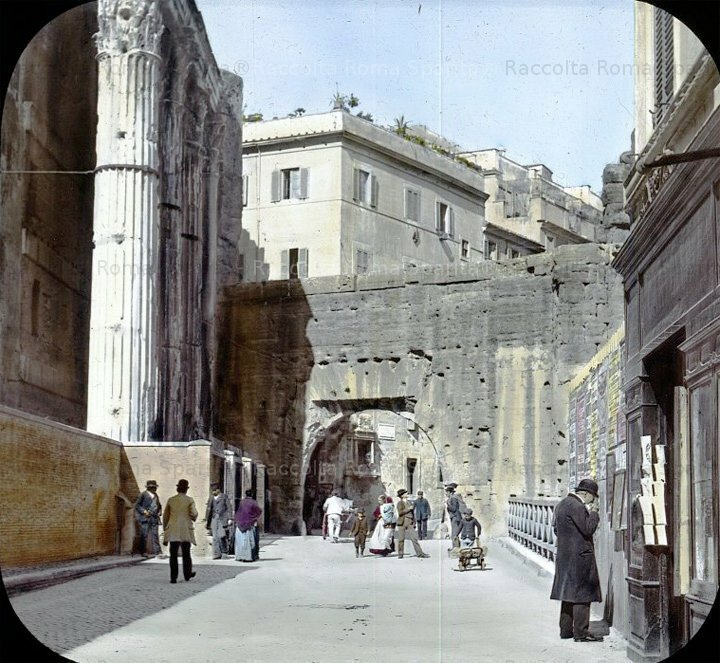 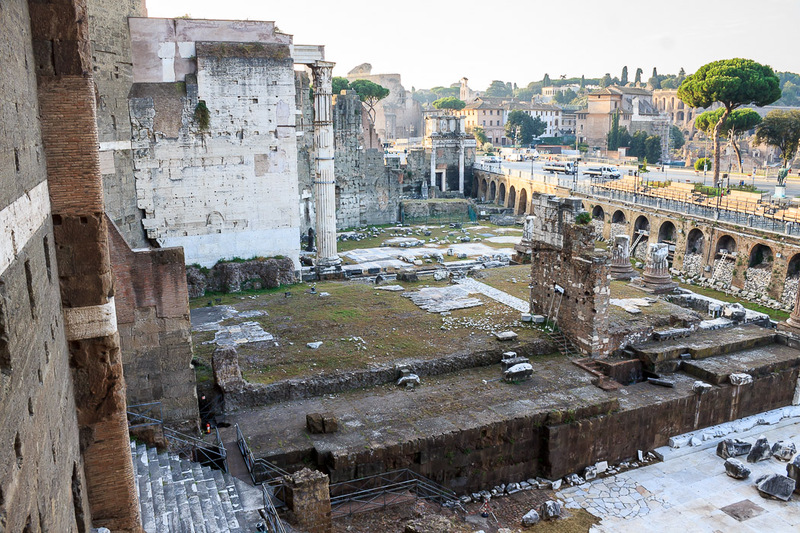 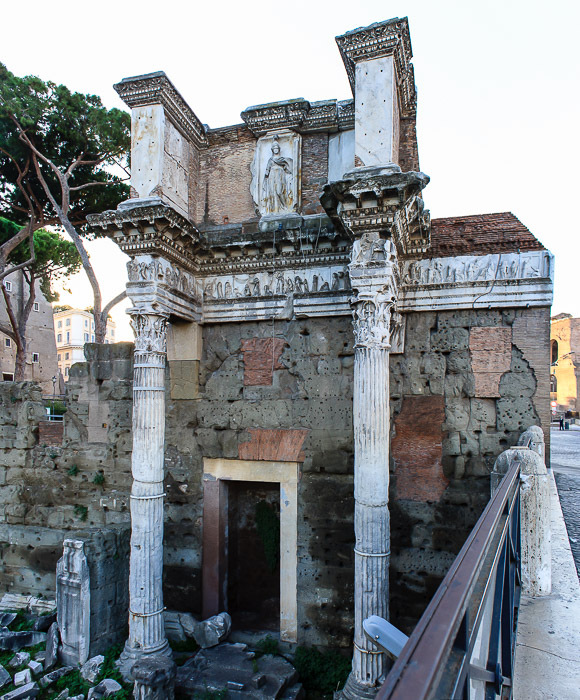 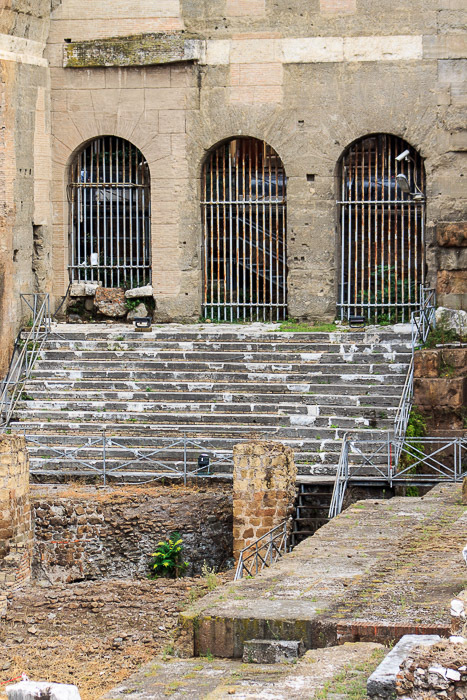 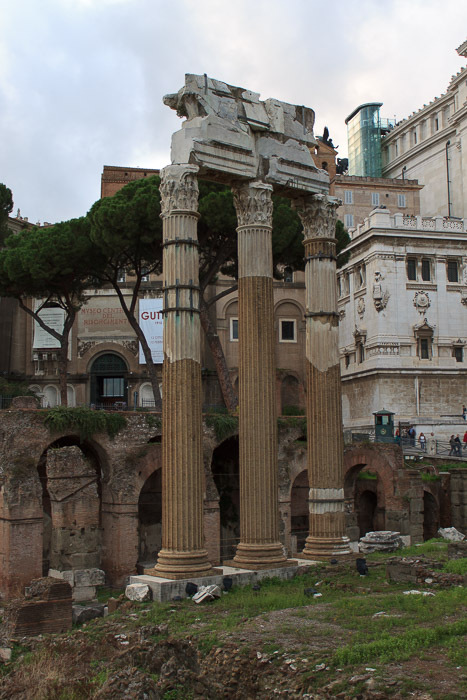 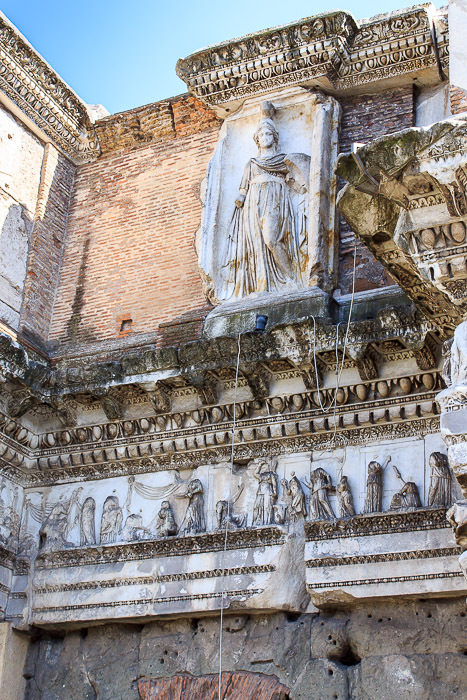 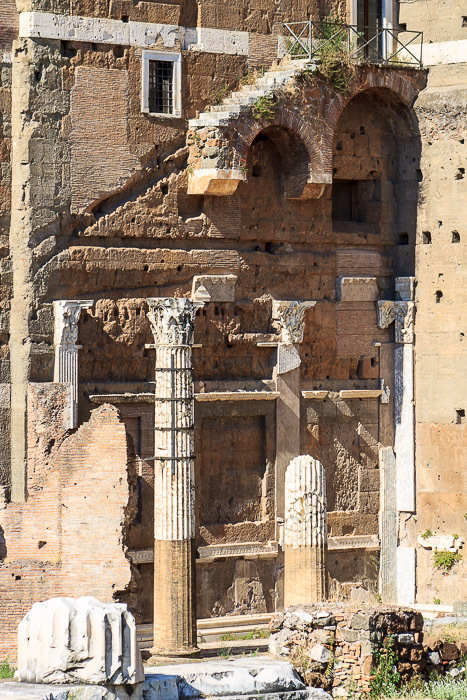 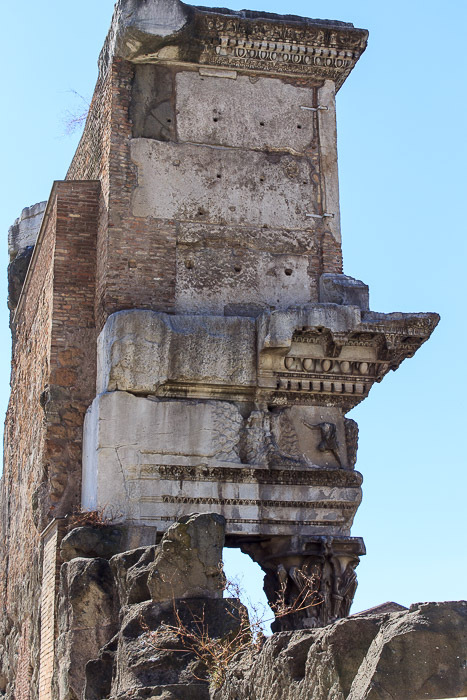 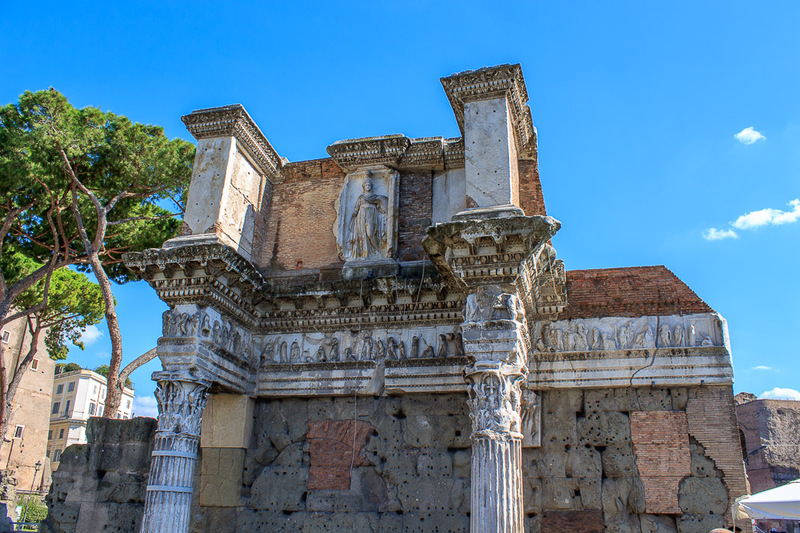 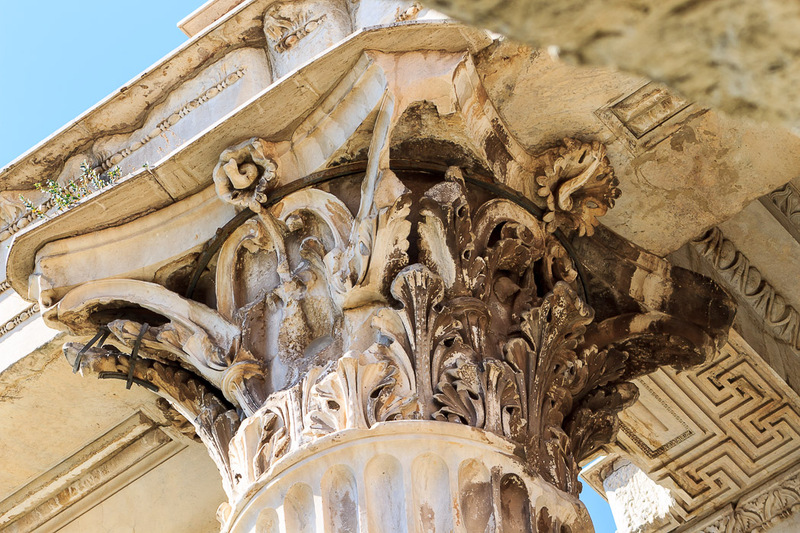 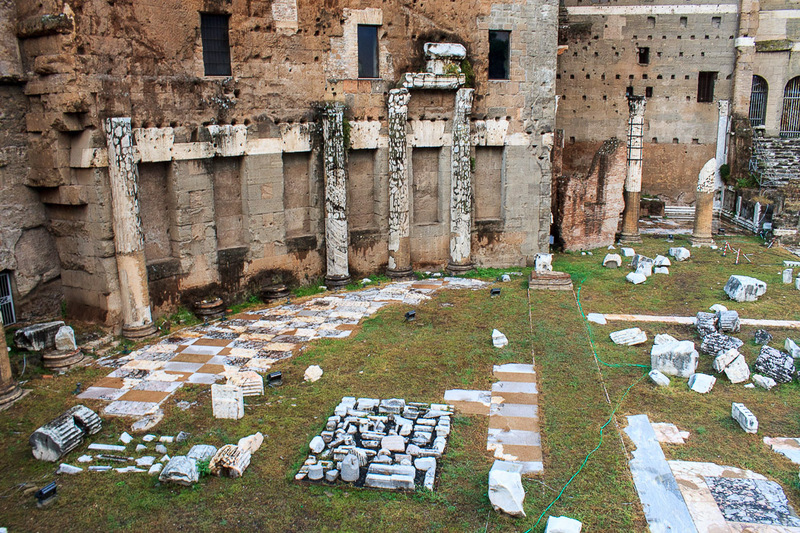 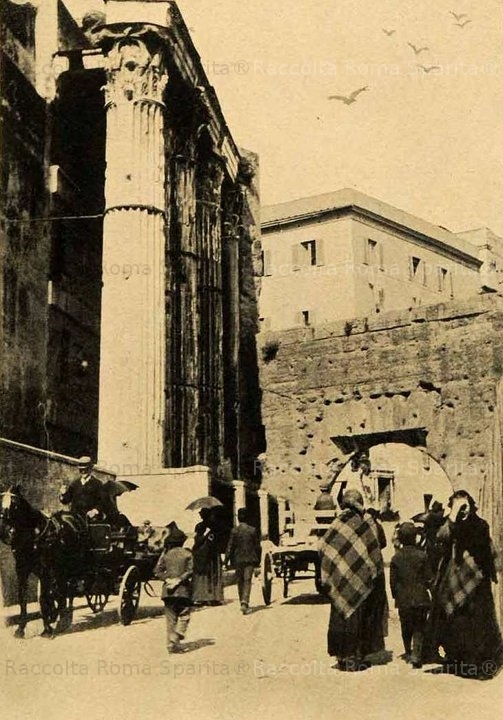 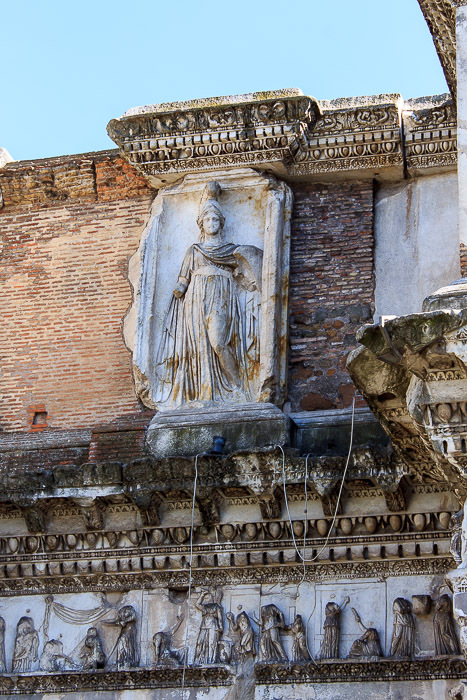 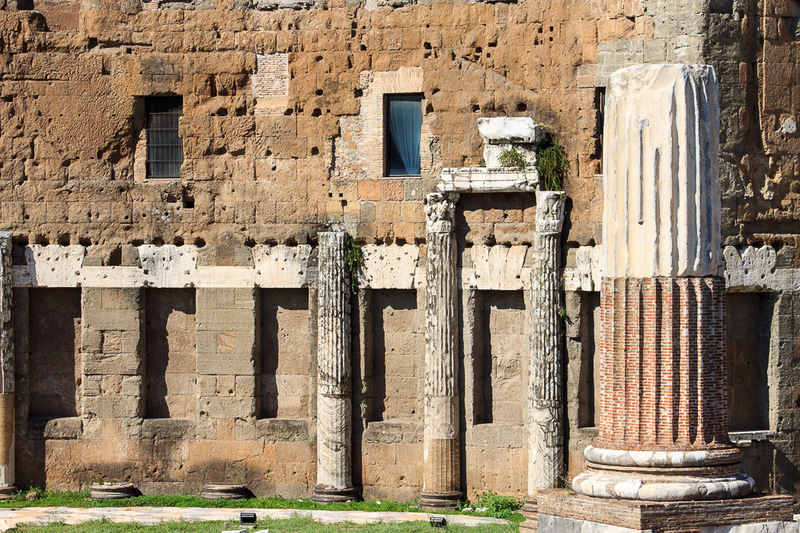 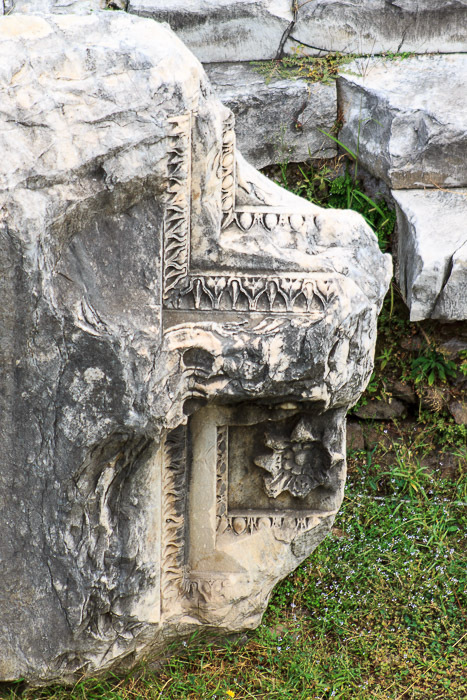 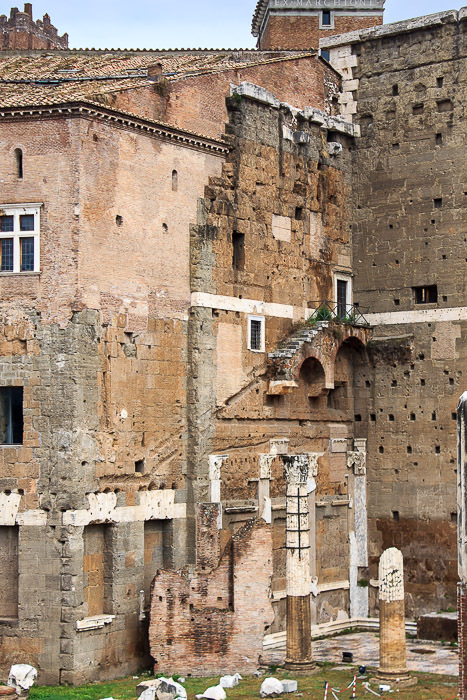 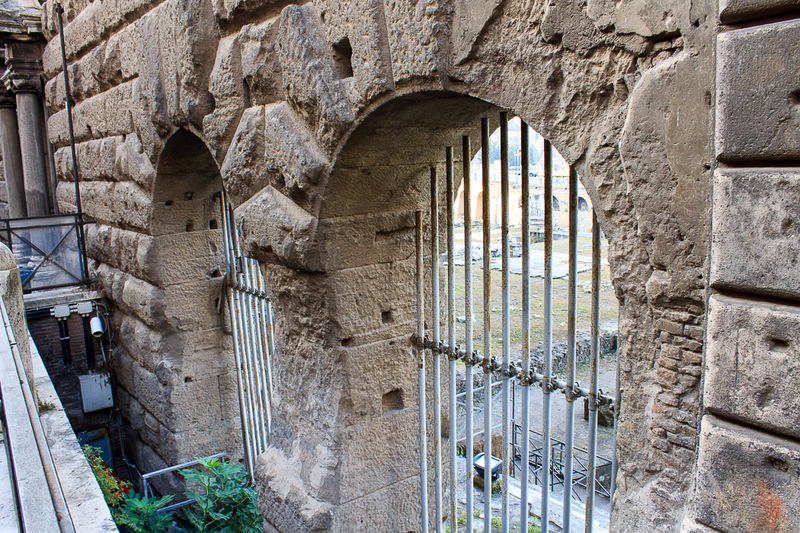 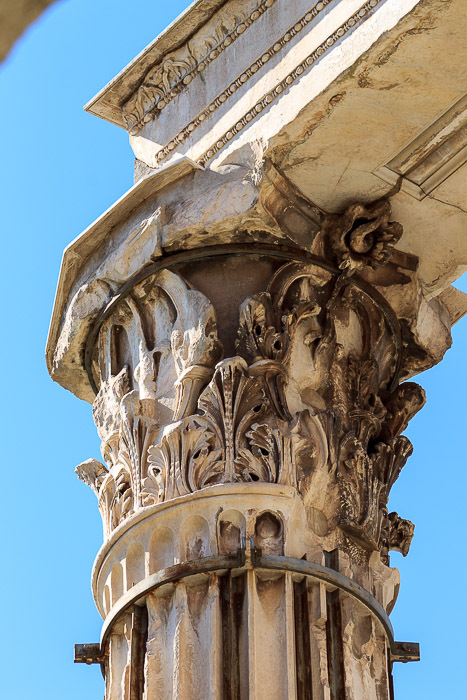 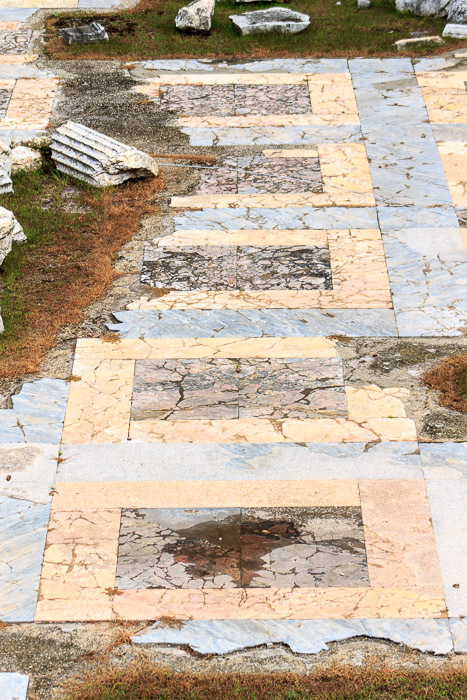 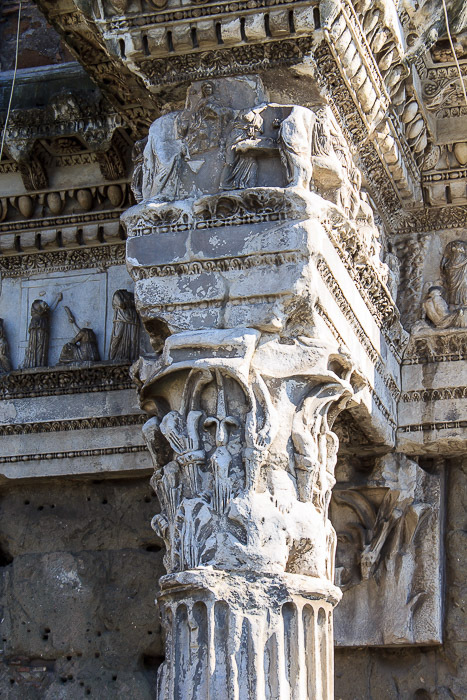 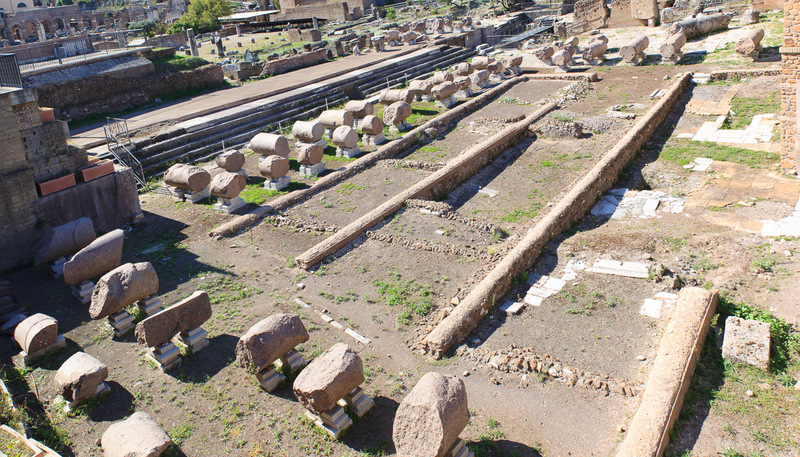 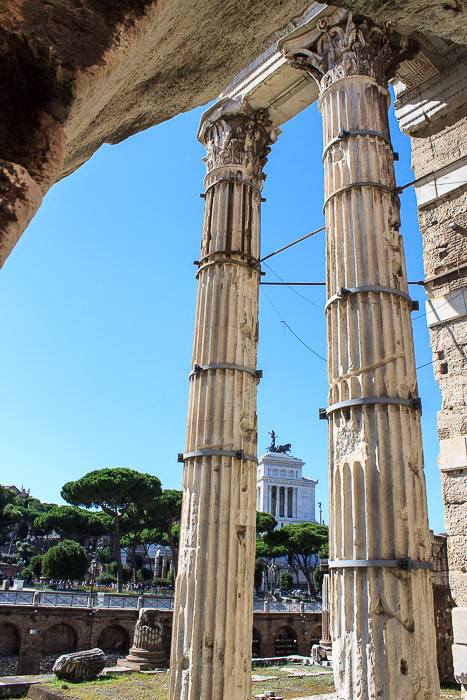 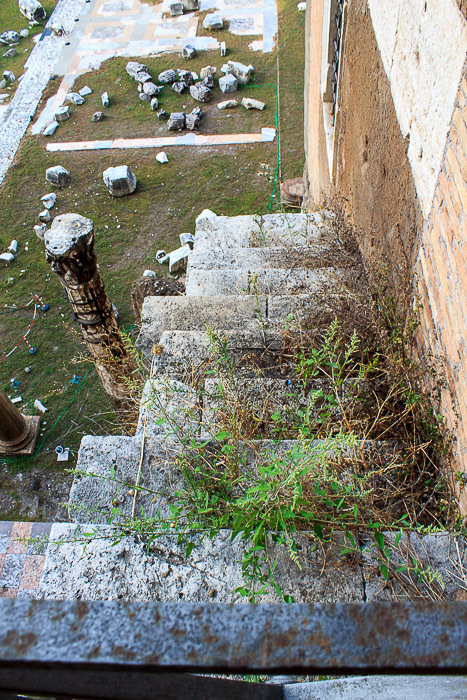 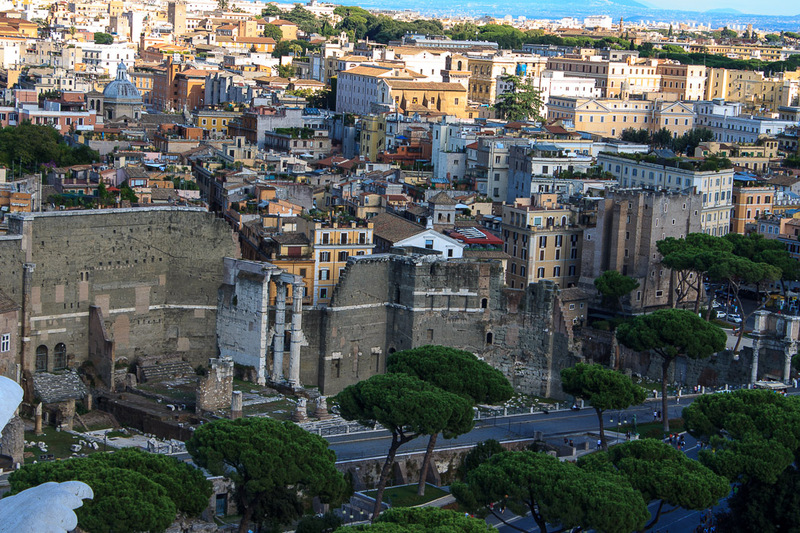 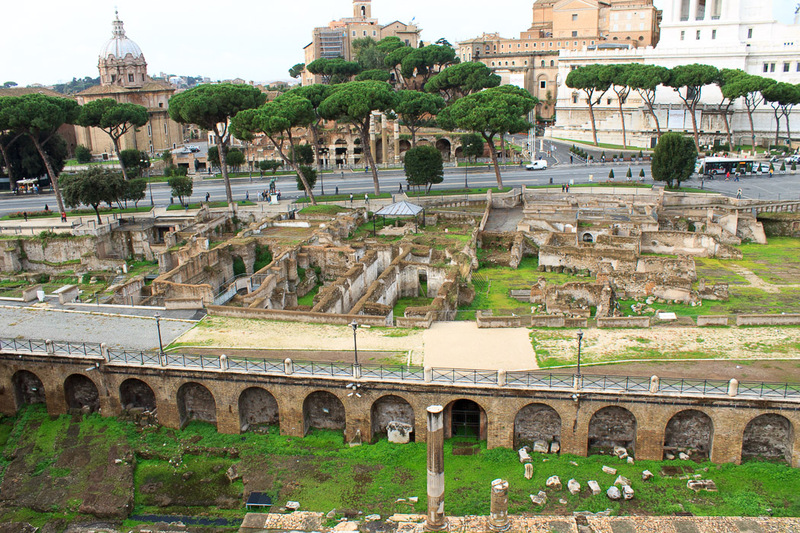 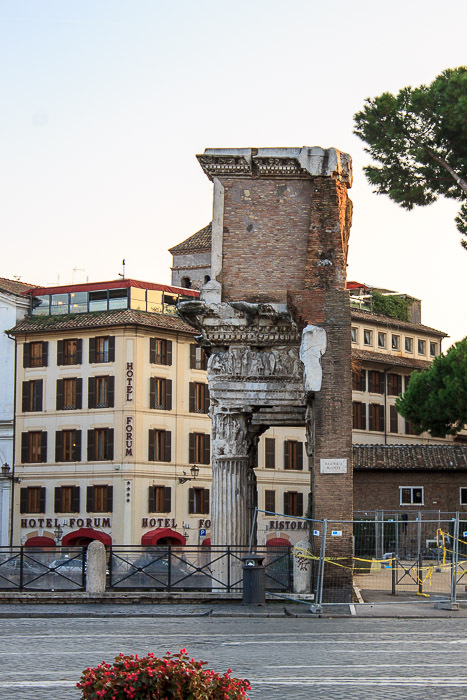 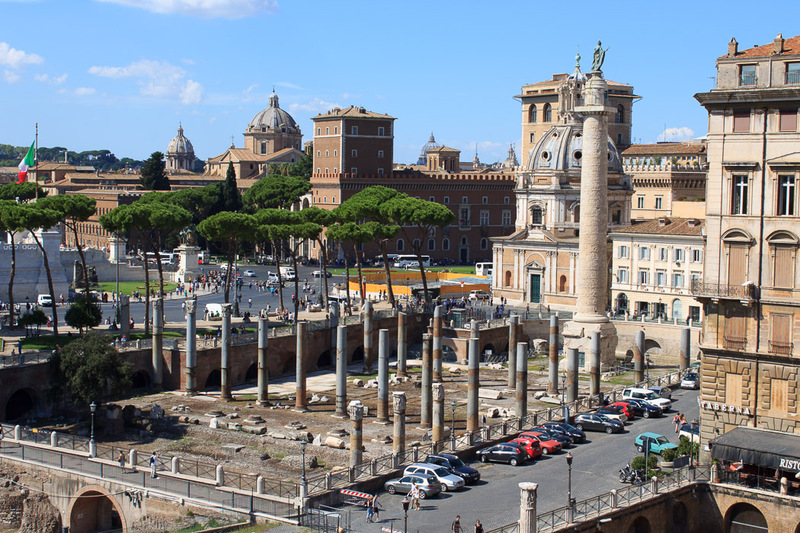 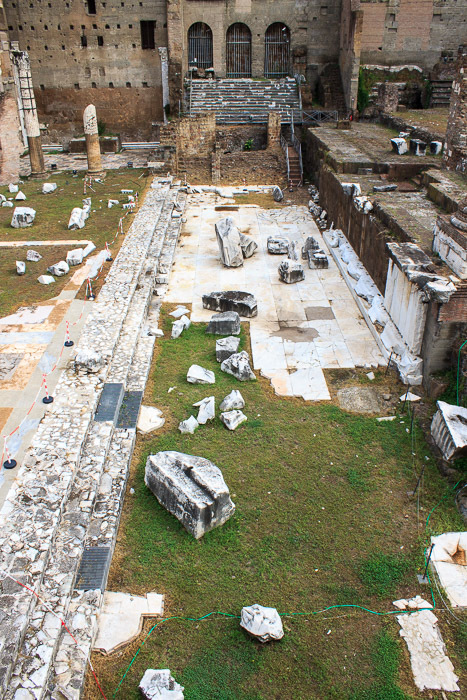 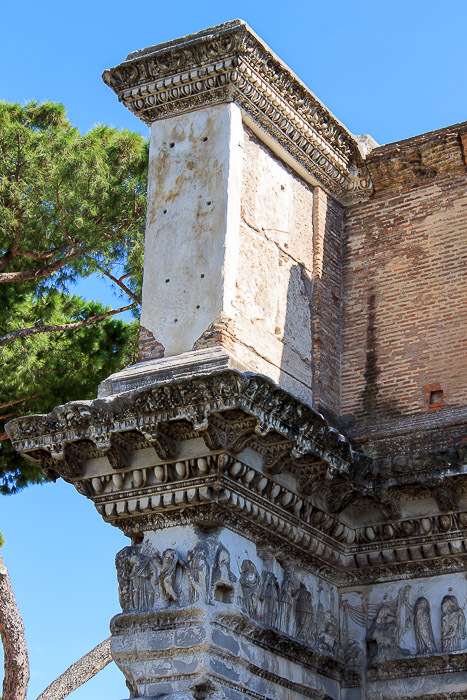 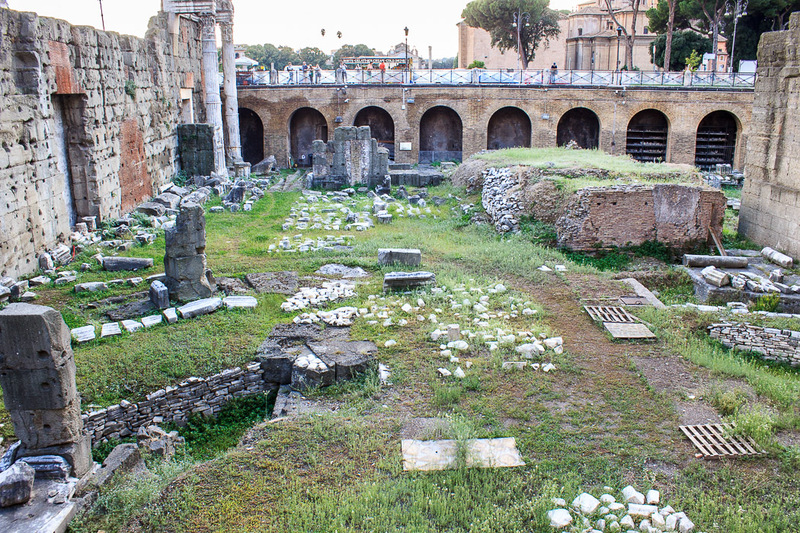 The Roman Forum had been built and used since the 7th century BC for government buildings and as a marketplace. 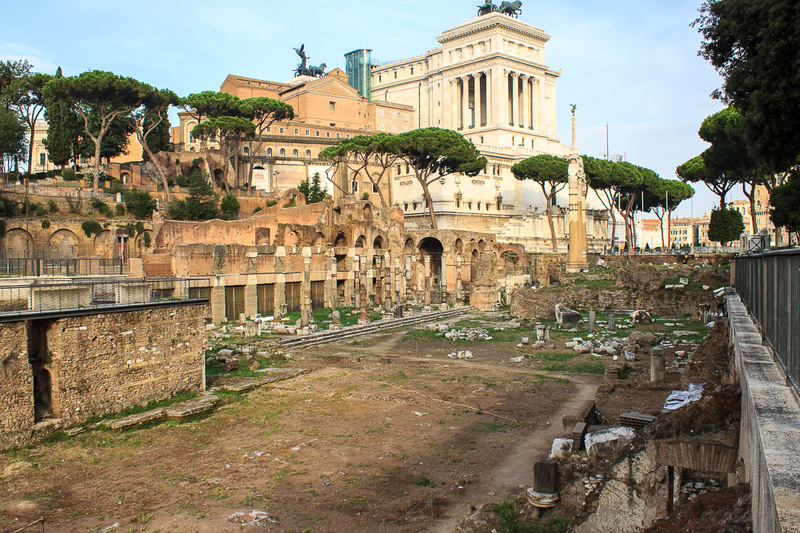 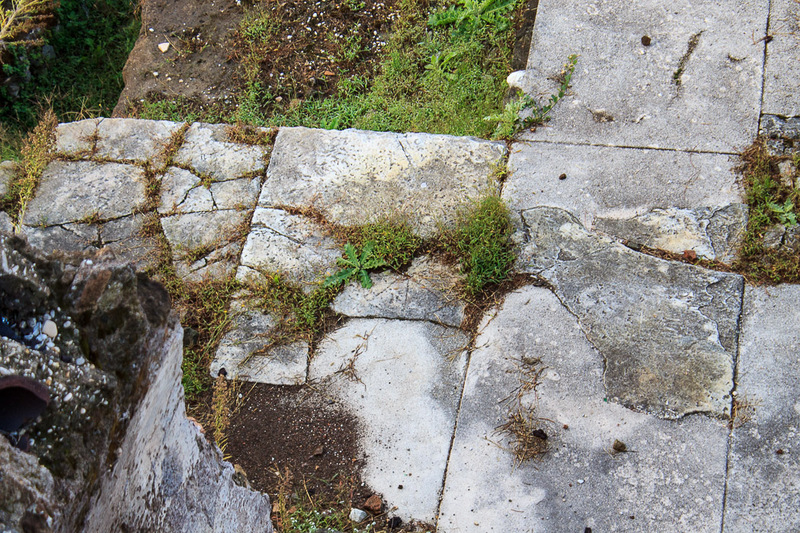 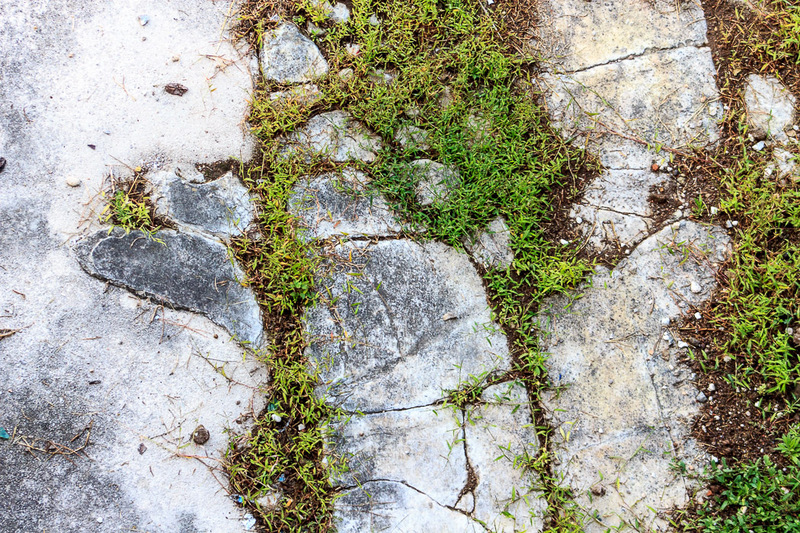 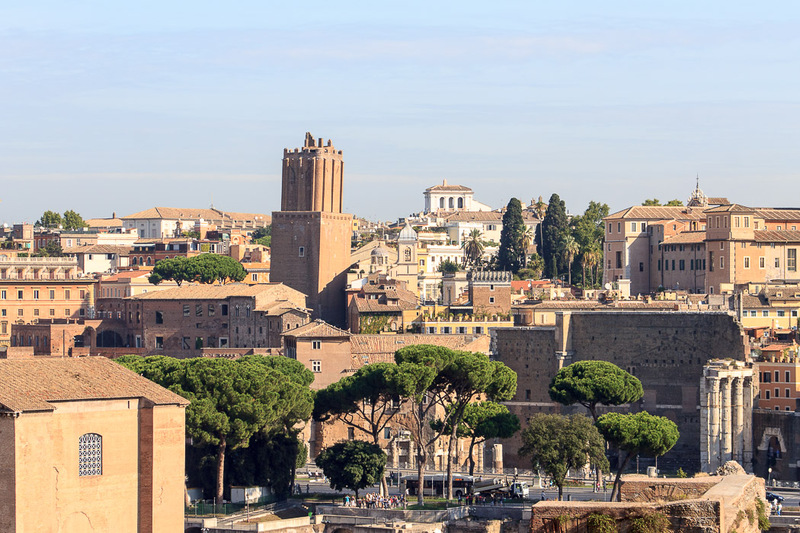 But as Rome grew through conquest in area, wealth and population, its needs outgrew the Roman Forum. 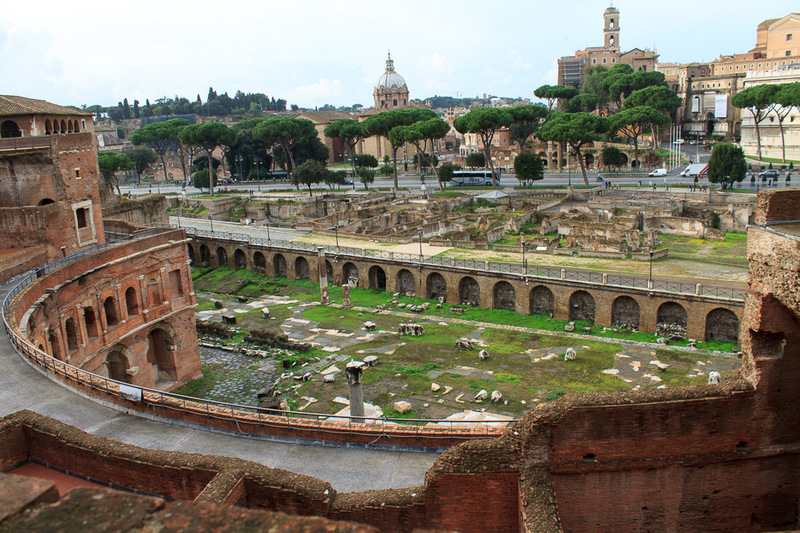 So, starting with Caesar and ending with Trajan, five new Forums, the so-called Imperial Fora, were built to satisfy those growing needs. 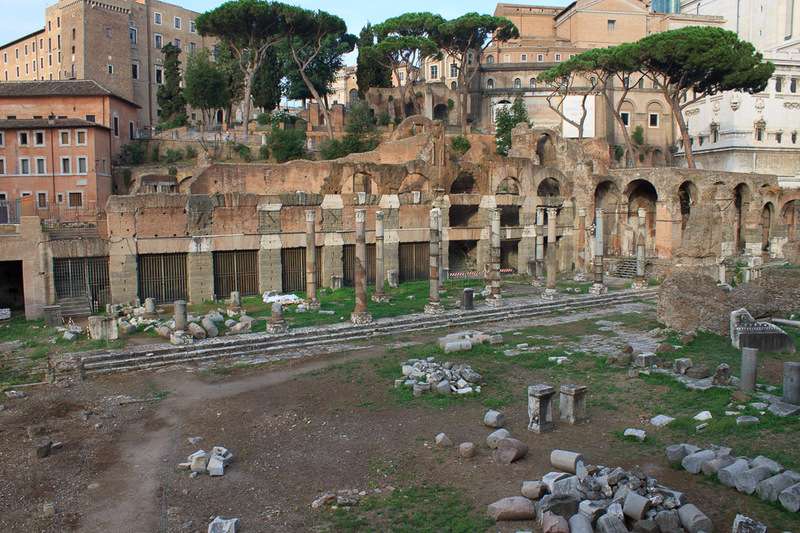 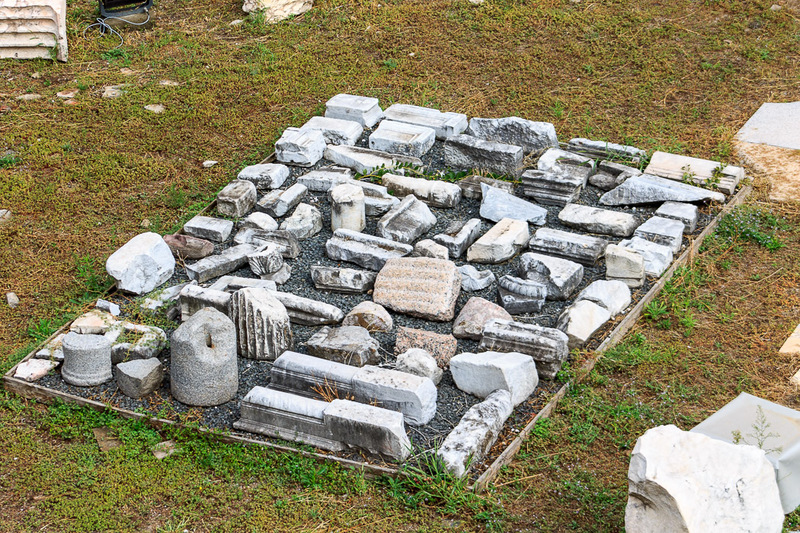 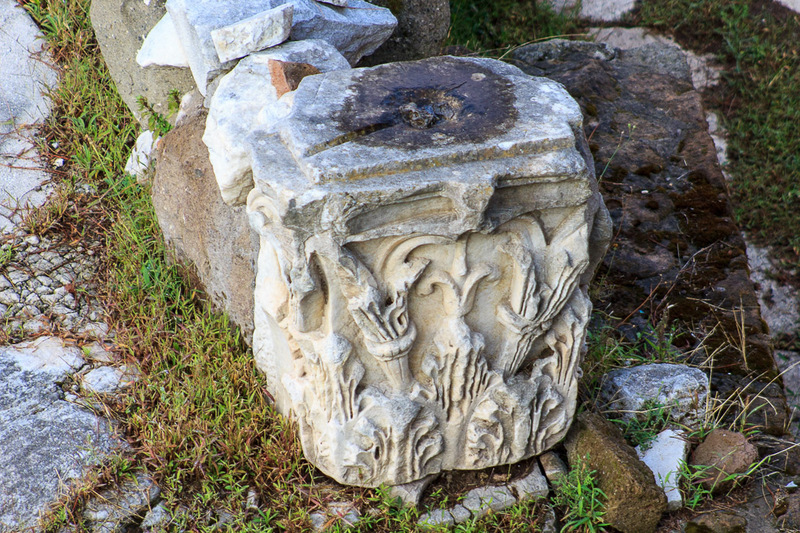 Ruins remain today from all five of these Imperial Fora, although the Temple of Peace is basically just rubble laying on the ground. 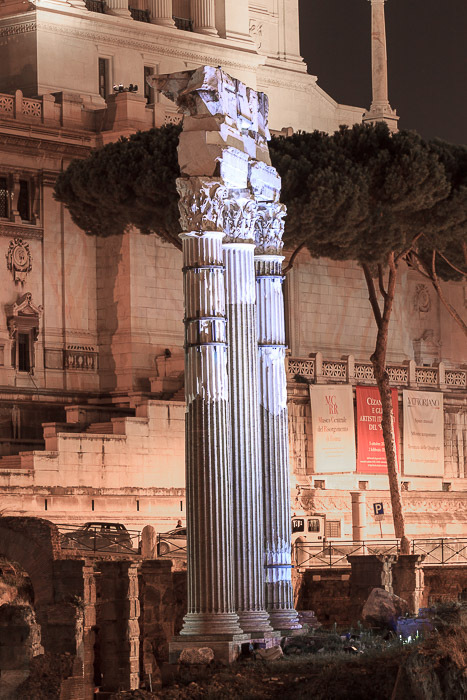 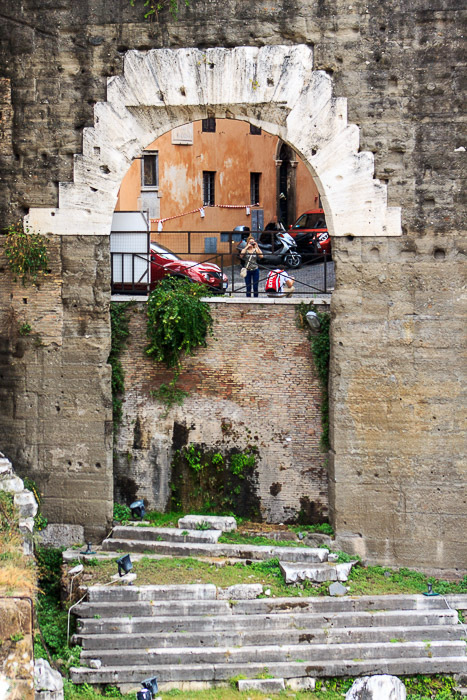 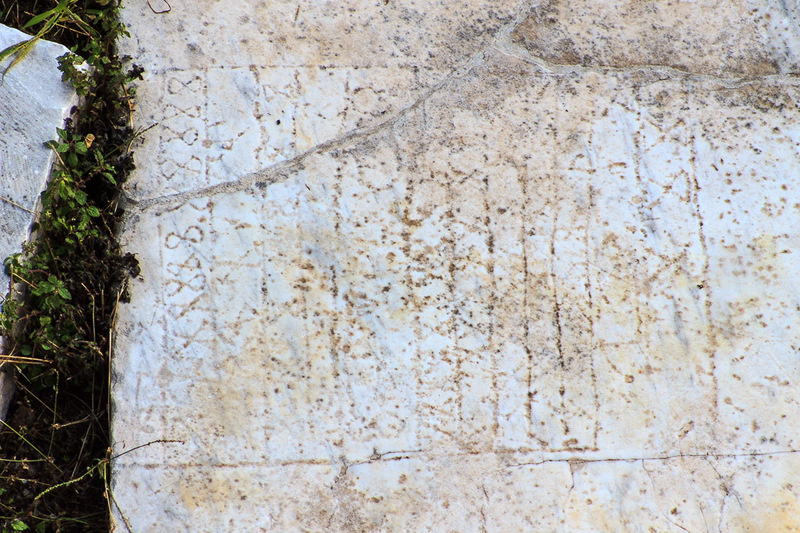 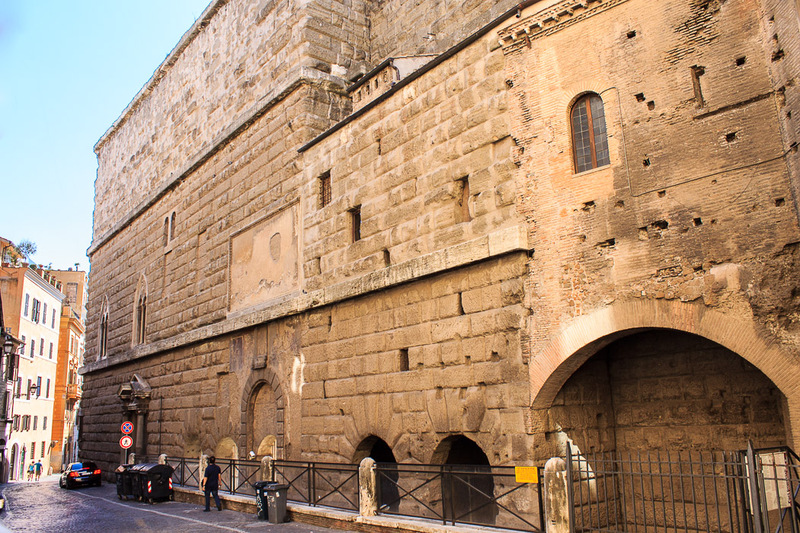 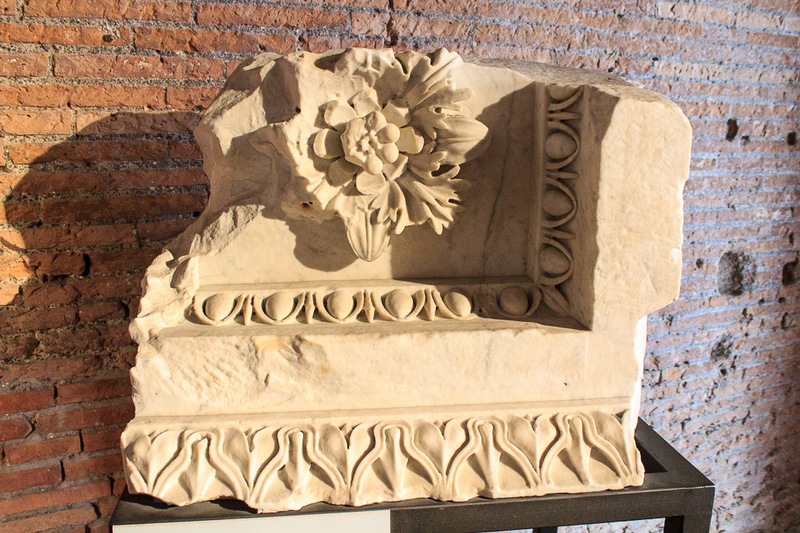 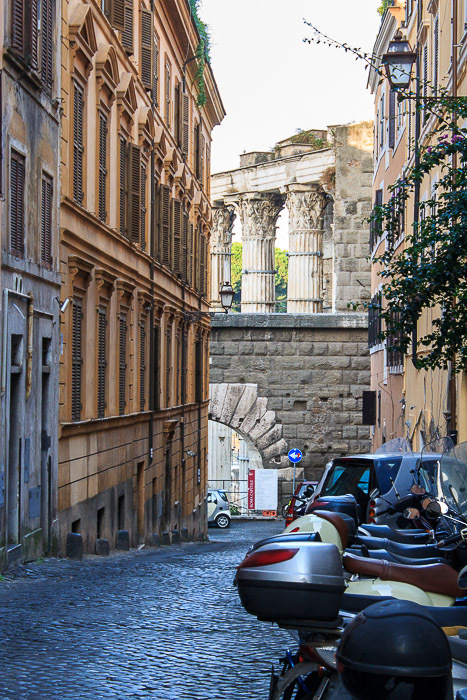 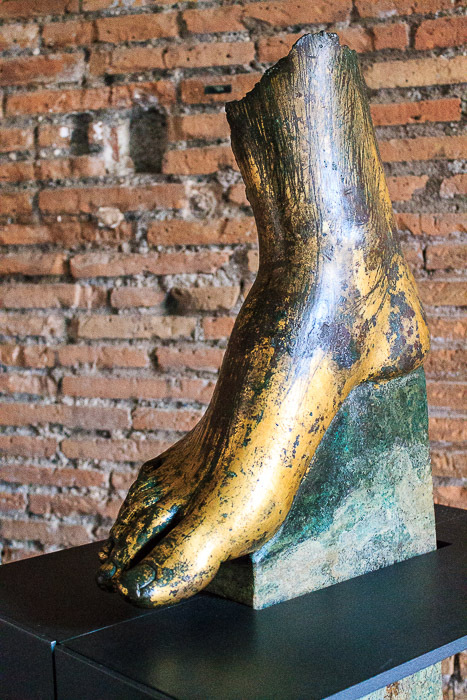 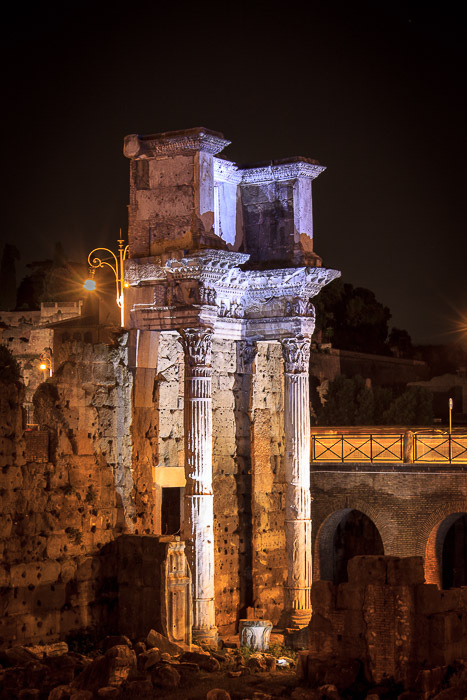 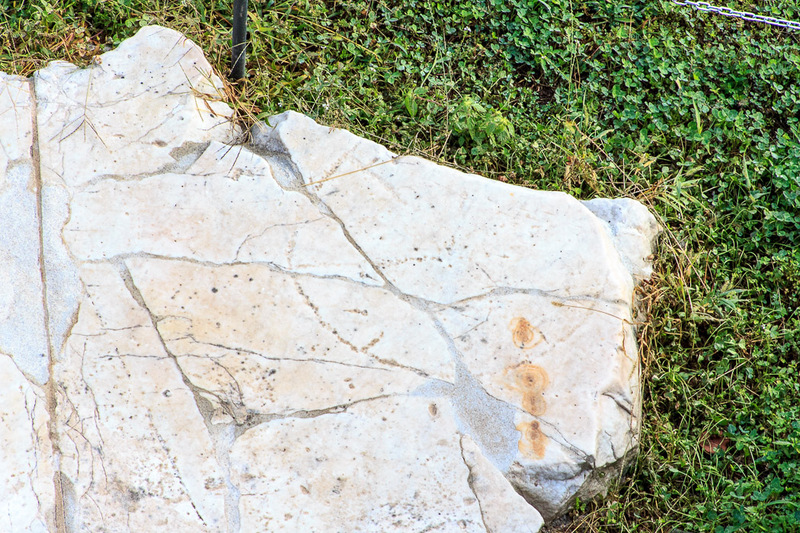 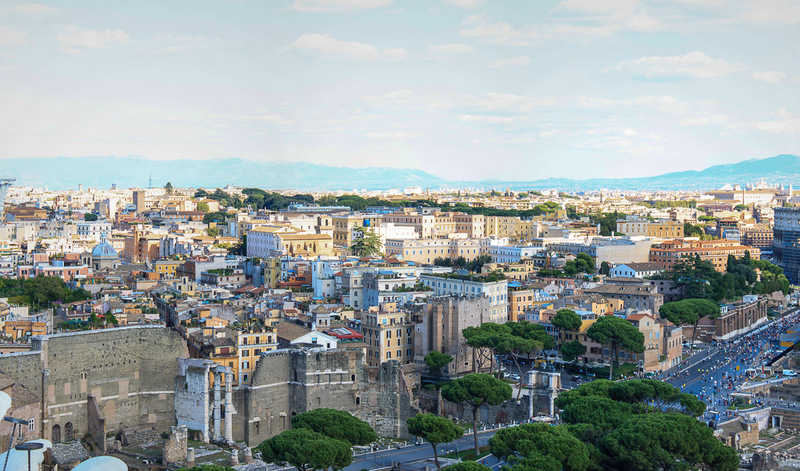 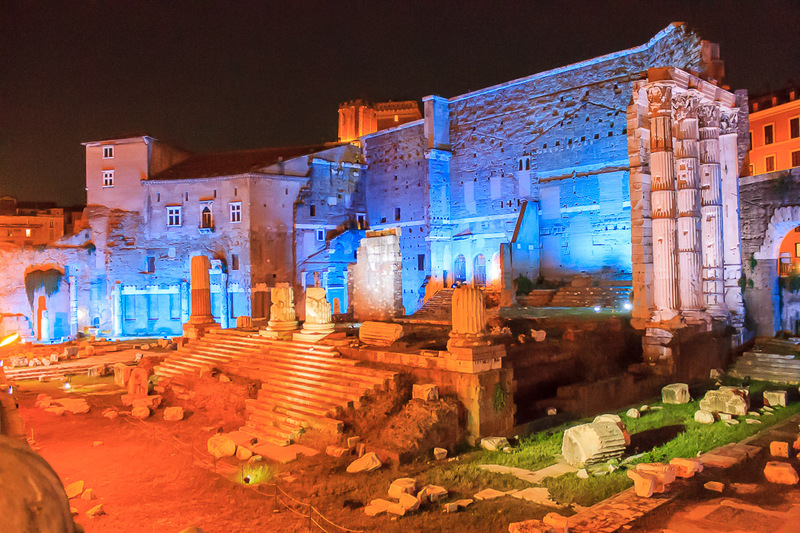 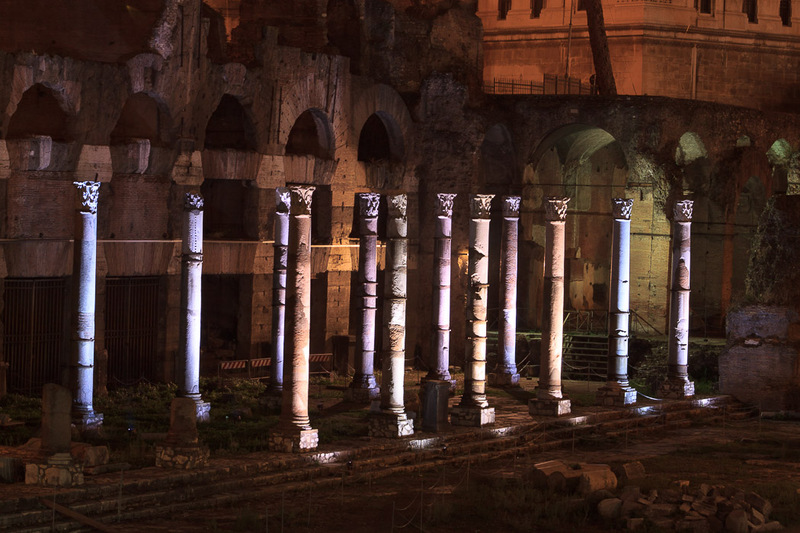 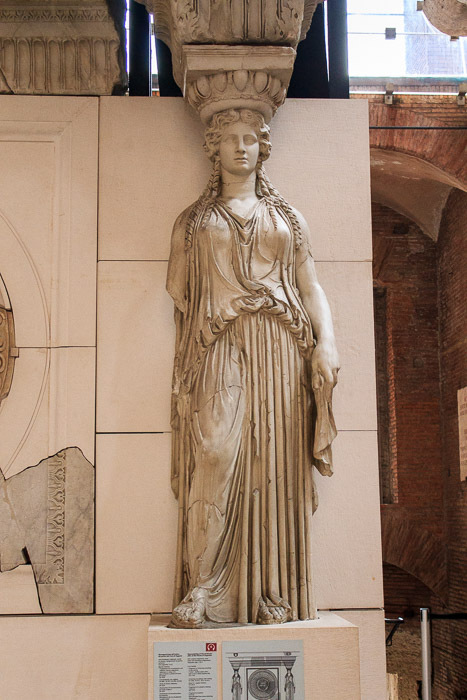 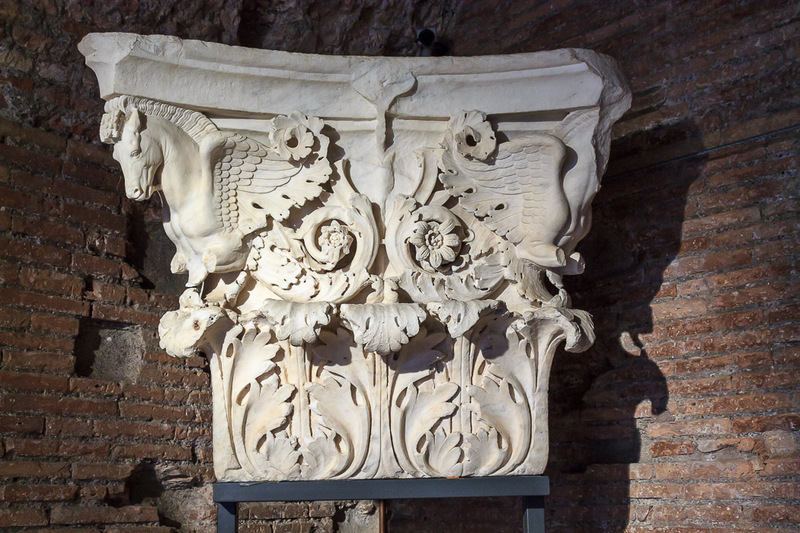 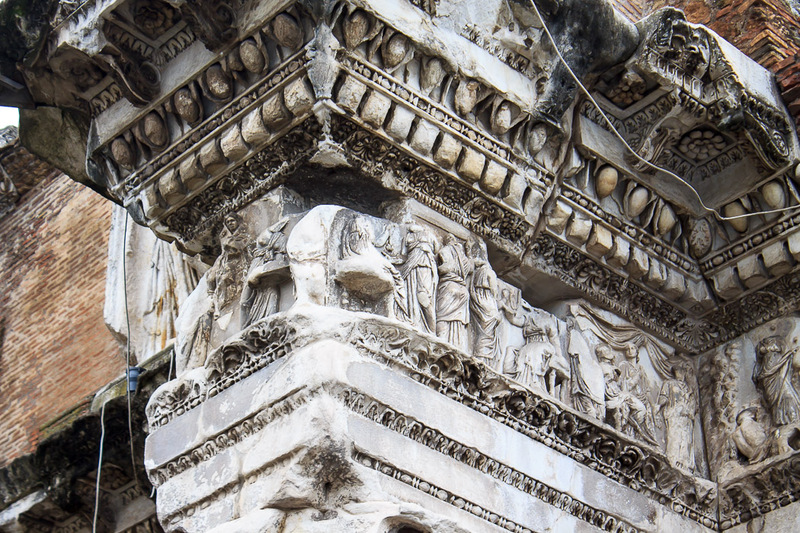 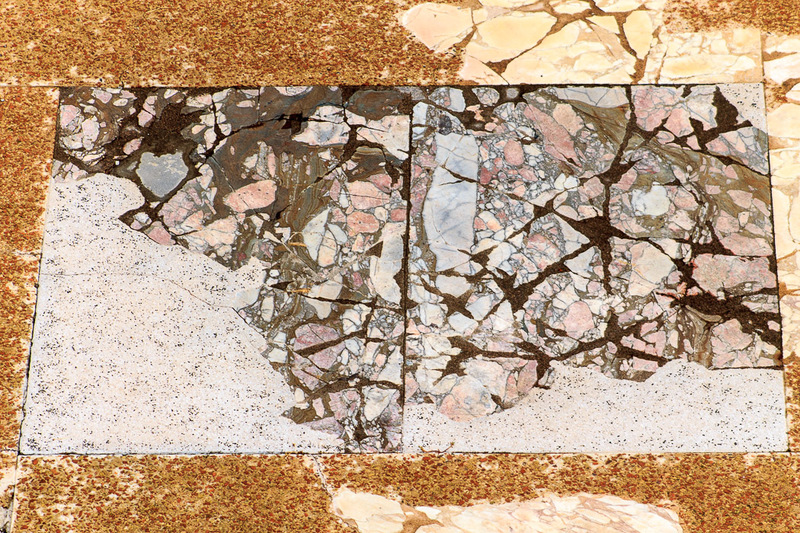 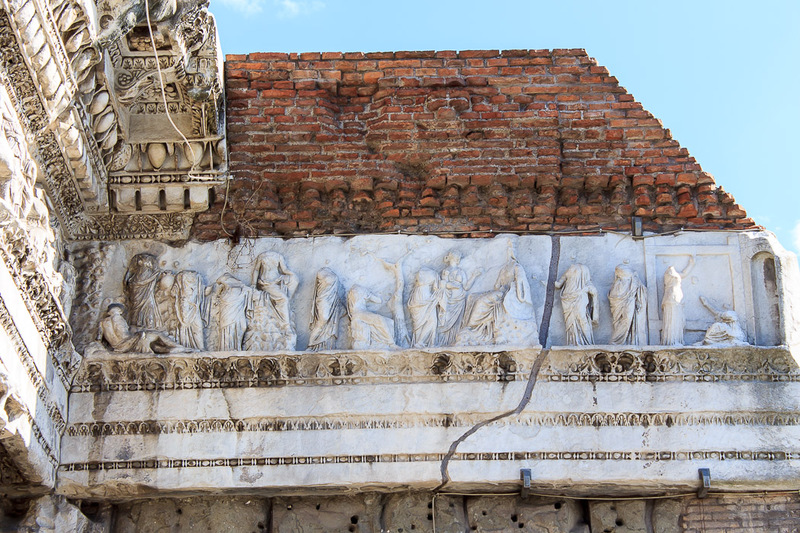 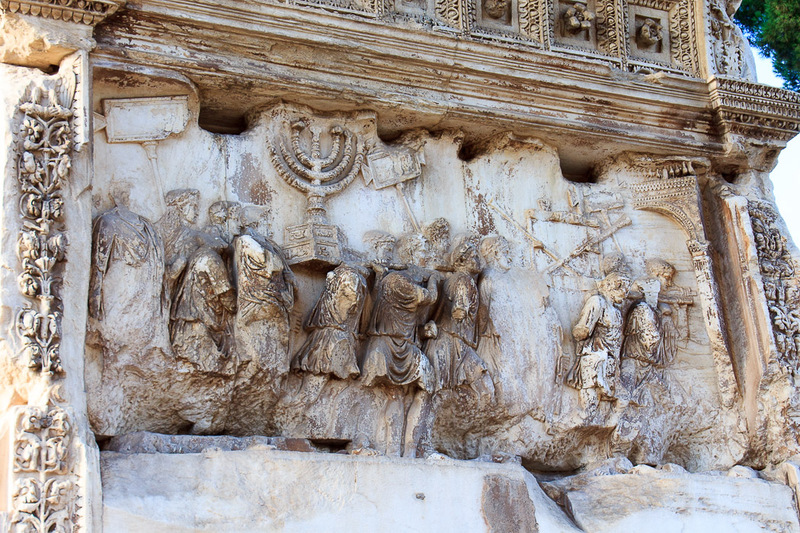 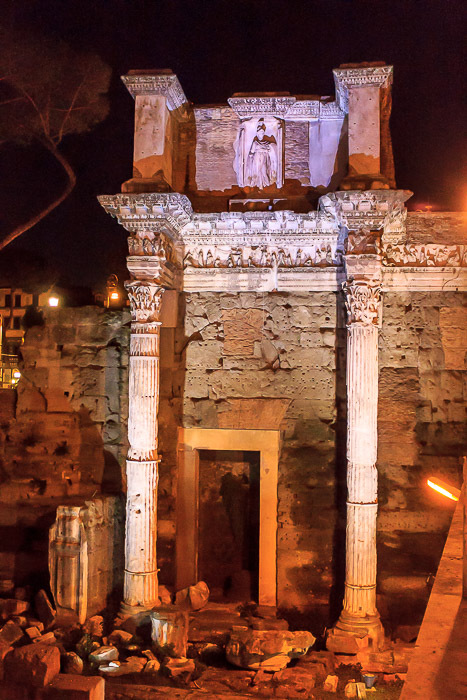 They all can be viewed free of charge at any time from Via dei Fori Imperiali, and are well-lit at night. 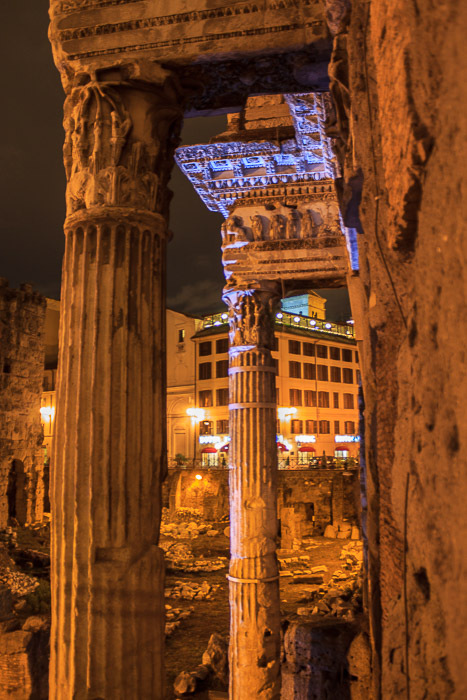 The highlights can be seen in as little as an hour, but if you have more time you'll be able to make more sense of them. 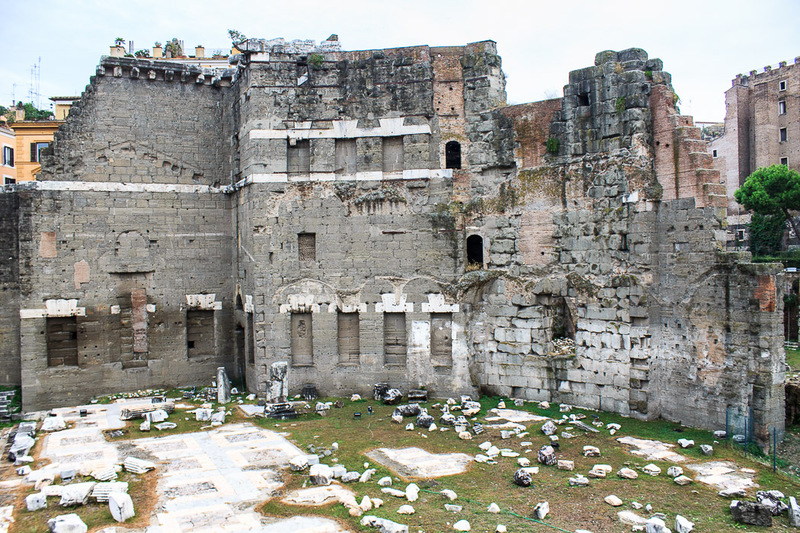 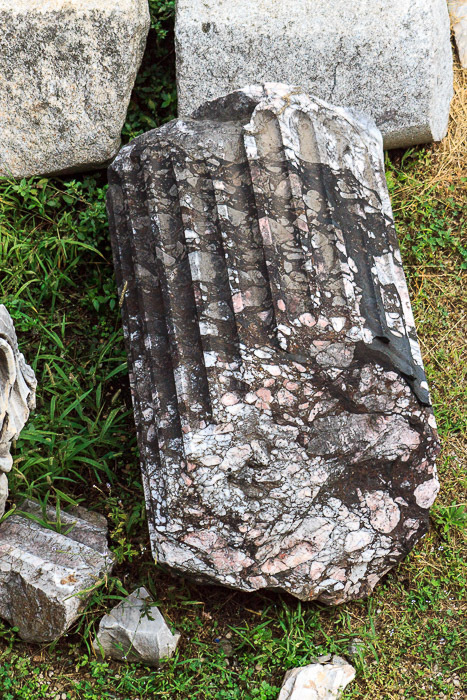 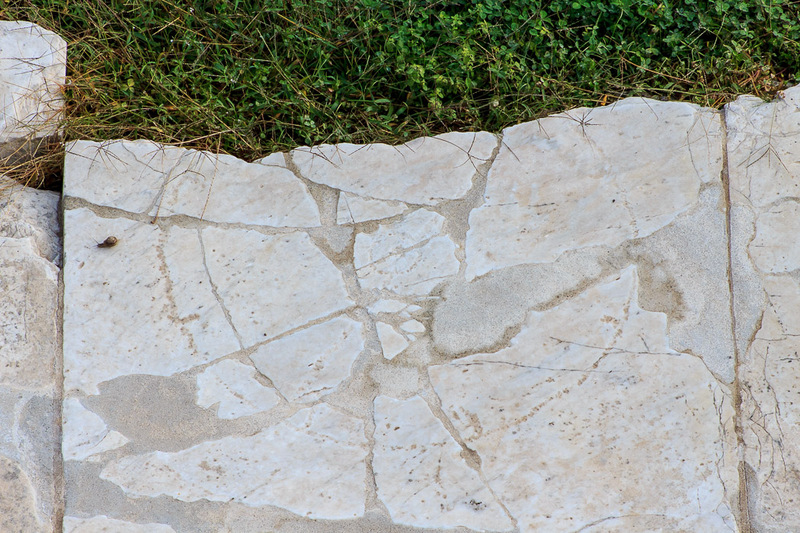 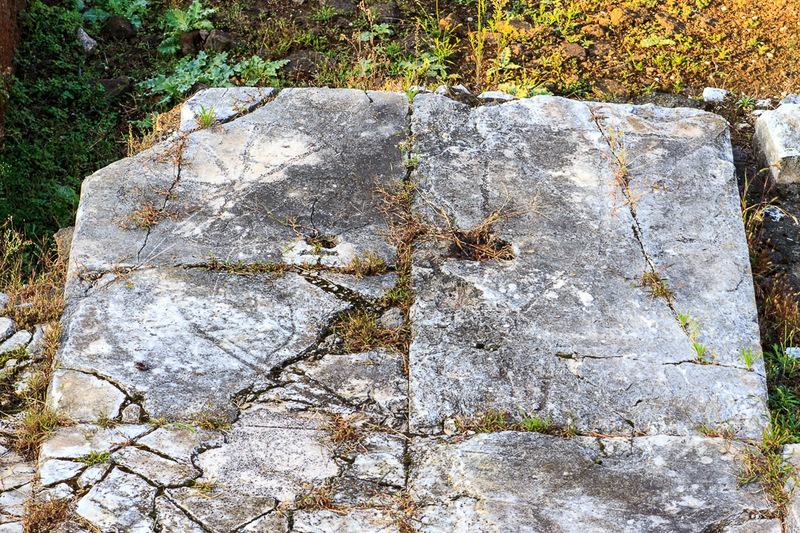 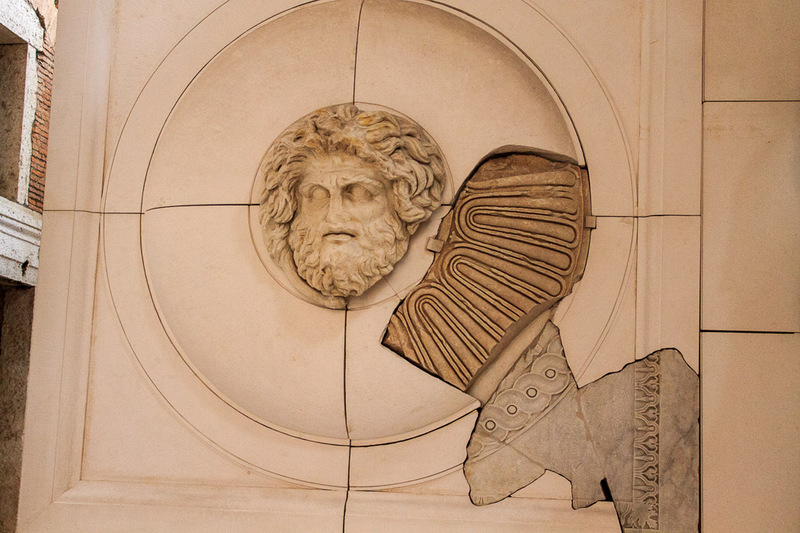 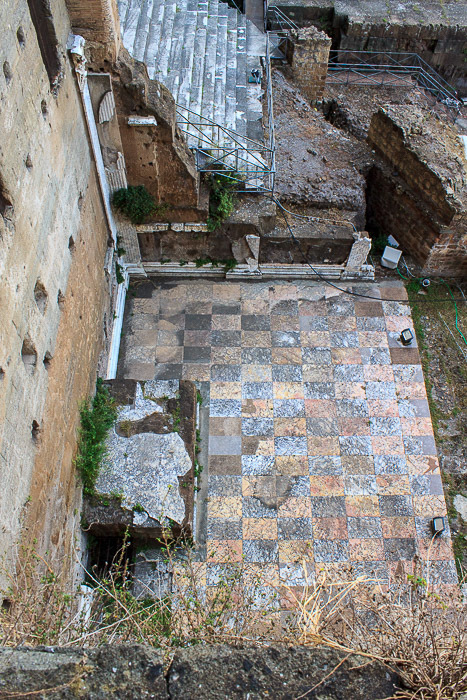 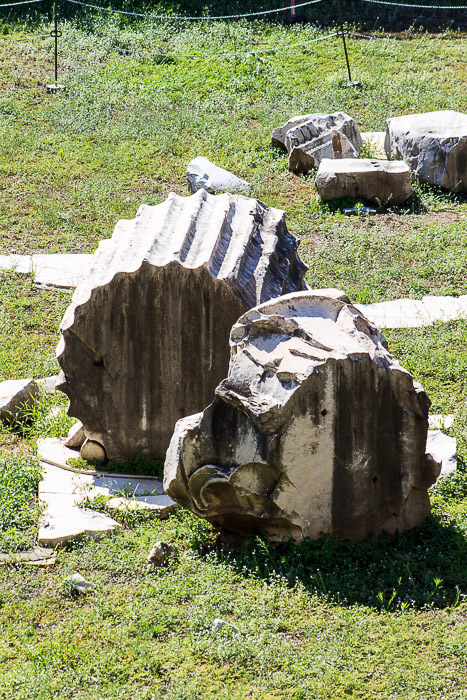 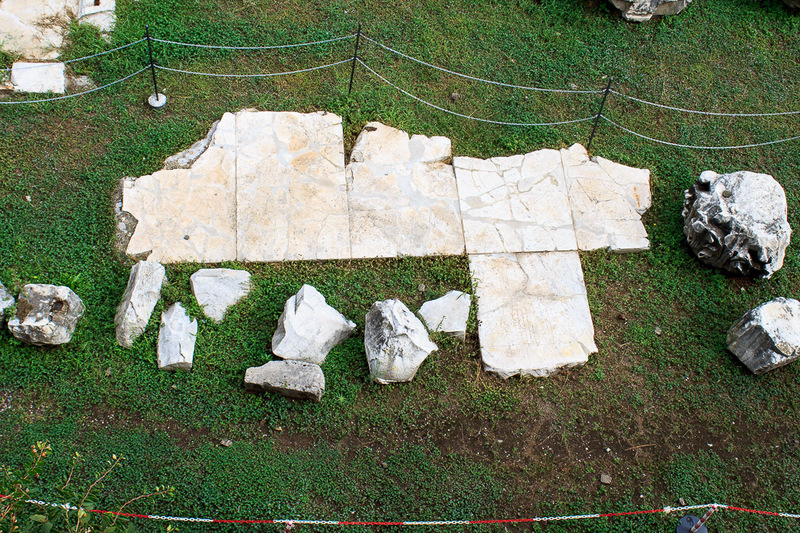 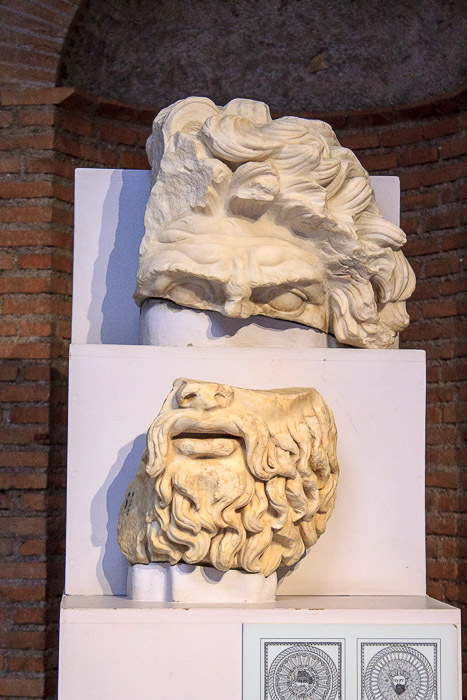 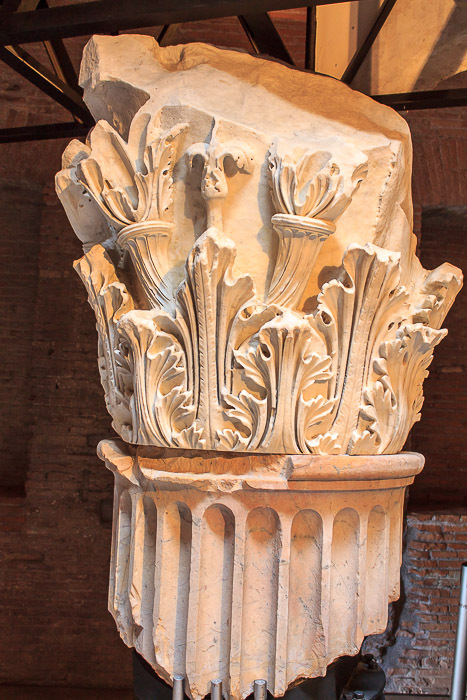 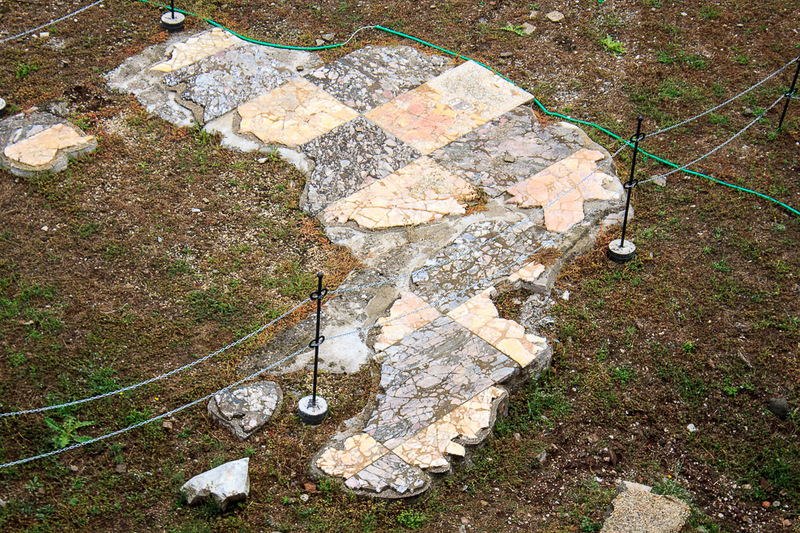 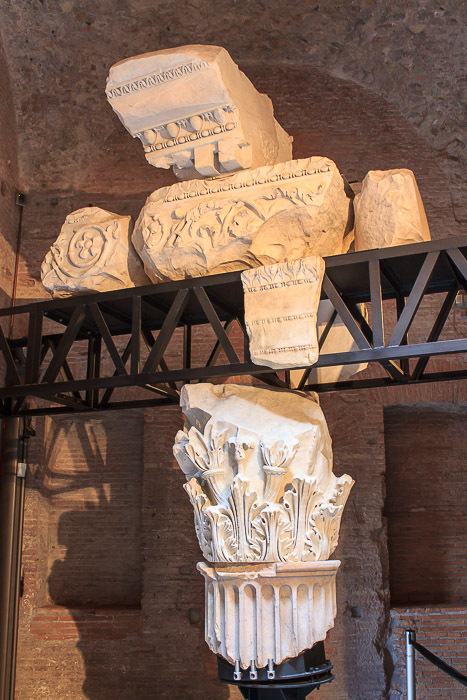 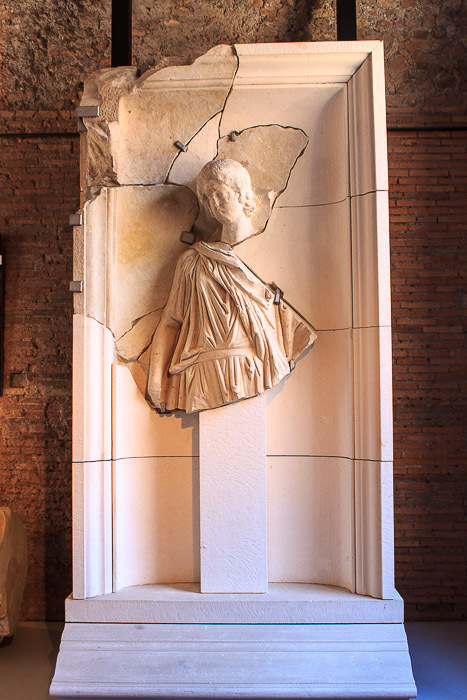 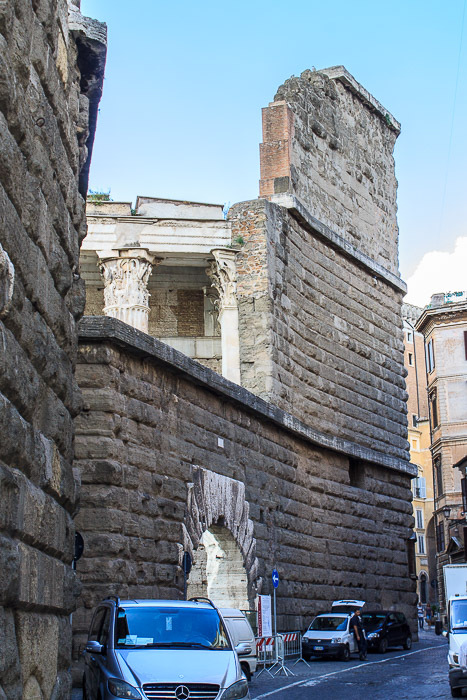 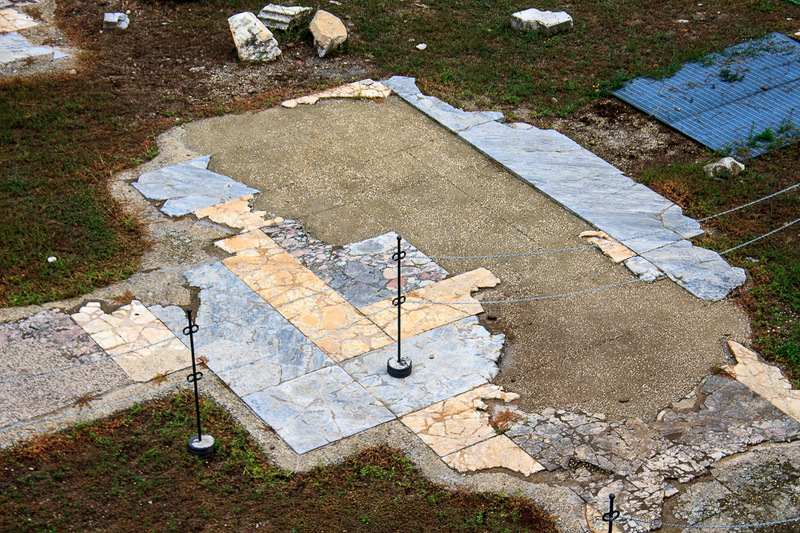 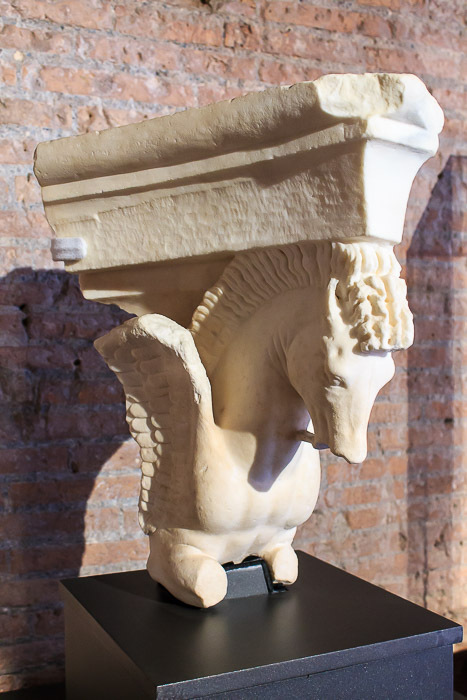 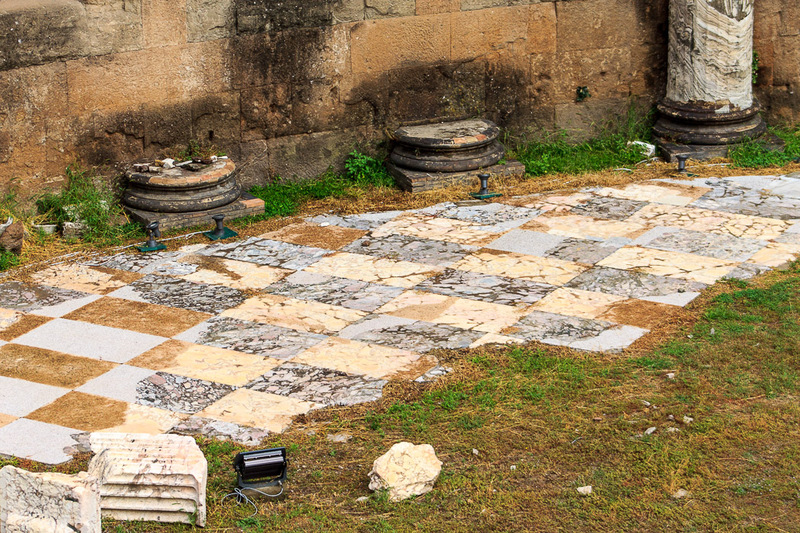 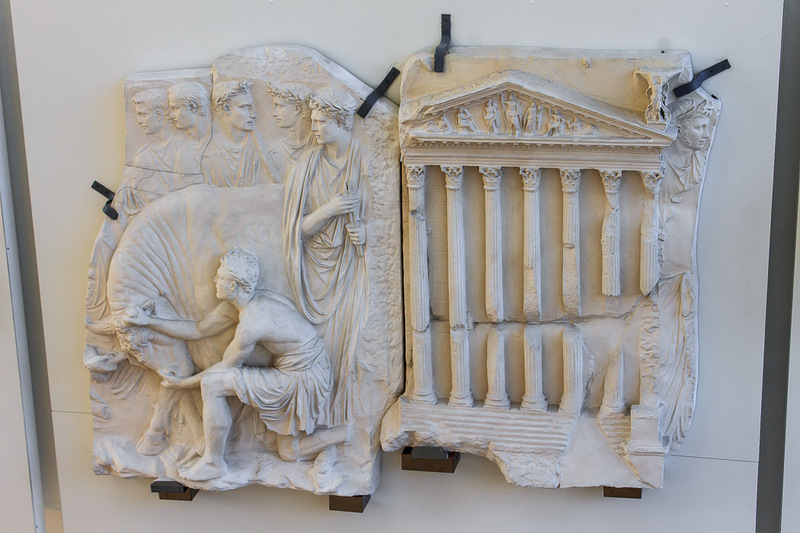 The Museum of Imperial Fora is a superb museum dedicated to displaying the remains found in the fora, and their web site contains an excellent map of the imperial fora, showing the five fora overlayed on the modern streets of the area. 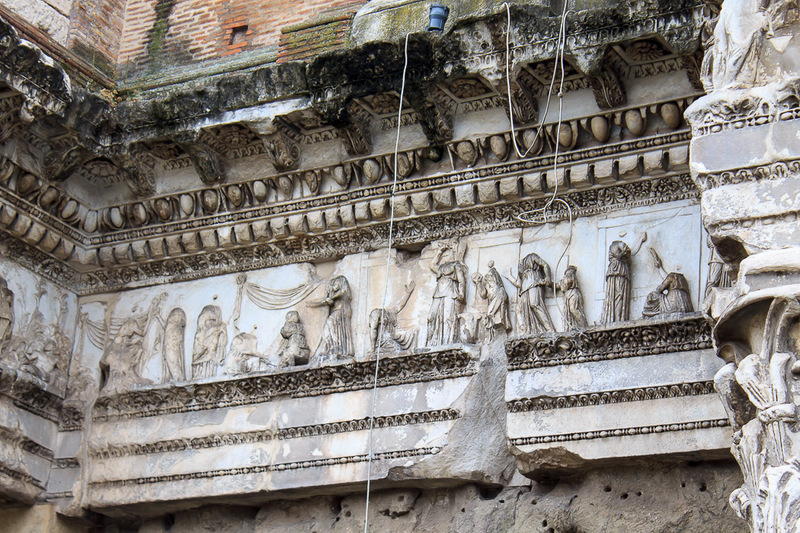 Their web site also gives good background information about the five fora.